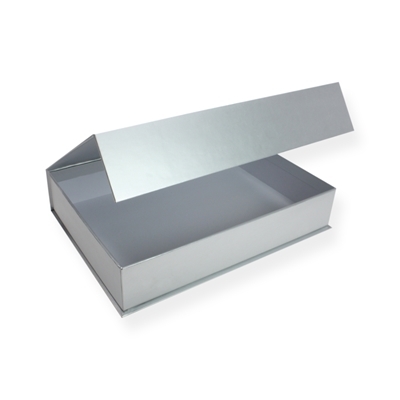 These luxurious gift boxes are suitable for both retail and postal use, with a matte silver finish, a secure magnetic latch and reinforced side walls – ensuring a high visual impact whilst providing protection to the contents. The magno giftbox is available from stock and in the following sizes 220 x 170 x 20mm and 320 x 230 x 20mm. This luxurious gift box’s are suitable for sending valuable products such as jewelry and glassware, whilst showcasing your product whilst also adding protection the recipient will also receive a pretty box which is reusable time and time again.